It’s official, Sony is set to release the next PlayStation console, the PlayStation 4. Unlike it’s predecessors, Sony will be deviating from it’s specialised hardware much like what they did with the Vita – Sony is going the x86 route. 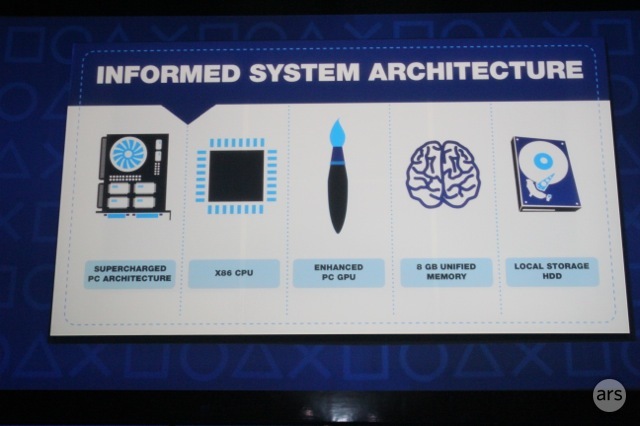 The upside, the new architecture means it’ll be a lot easier to develop for the PlayStation 4 as Sony can use and incorporate existing tools that the PC market already has in place for it. It also means more support for existing standards in terms of peripherals. The downside, it’s basically a PC and the new architecture ensures that there will be no backwards compatibility for the PlayStation 3 and the Playstation 2 – at least on a hardware level. Lead system architect Mark Cerny describes the PlayStation 3 as “supercharged PC architecture.” While there is no word on the actual processor, Cerny gives out a few specs of the PlayStation 4 like 8GB of GDDR5 unified high-speed memory (like the PS3, the CPU and the GPU shares it’s memory), 8 CPU cores (likely 4 physical cores with HT turning it to 8 logical cores) capable of 2 teraflops of computational performance and a GPU that can render 30,000 polygons to be rendered in real time — in comparison, Heavy Rain on the PS3 utilized 15,000. There’s also the standard list of connectivity like 802.11n WiFi, USB 3.0 ports, Bluetooth 2.1 and ports for optical audio, HDMI and even legacy analog AV hook-ups. 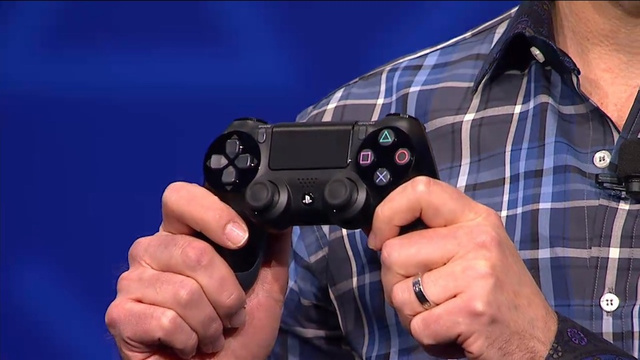 Gone will be the waiting time for the console to boot (no more bootscreen-related nostalgia either) as the PlayStation 4 will let users suspend and resume play at the touch of a button. Also as a boon for PS Plus subscribers and people actively using the PlayStation Store, the console will have a secondary chip that will manage uploads and downloads, even if the power is off. As for the controller, well the DualShock is up for a make over. The new controller now has a light strip, which when paired with the optional a 3D camera can track the controller’s motion and depth ala-Wii, and a new set of nubs which look flatter. There’s also a share button which adds social-networking capability to the console. Unfortunately, while Sony has revealed the console, it hasn’t shown anything with regards to the physical hardware so the final appearance of the console is still up in the air. 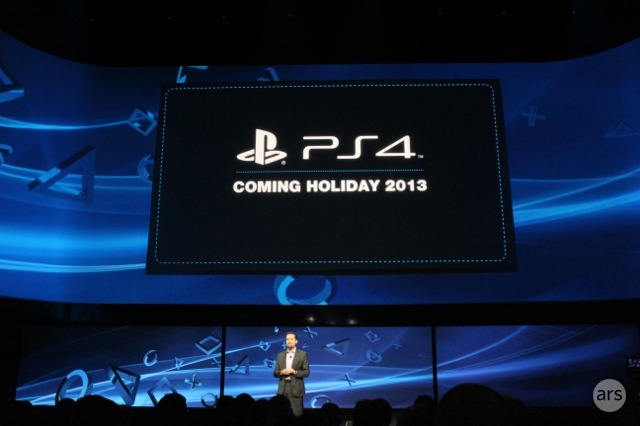 Pricing is also unconfirmed but Sony is adamant that the console will be release this holiday season. In the mean time, we PlayStation 3 owners can still cuddle with out current console while waiting for it’s successor’s inevitable release.